Edited and with an Introduction by Terrence O. Moore, Jr. 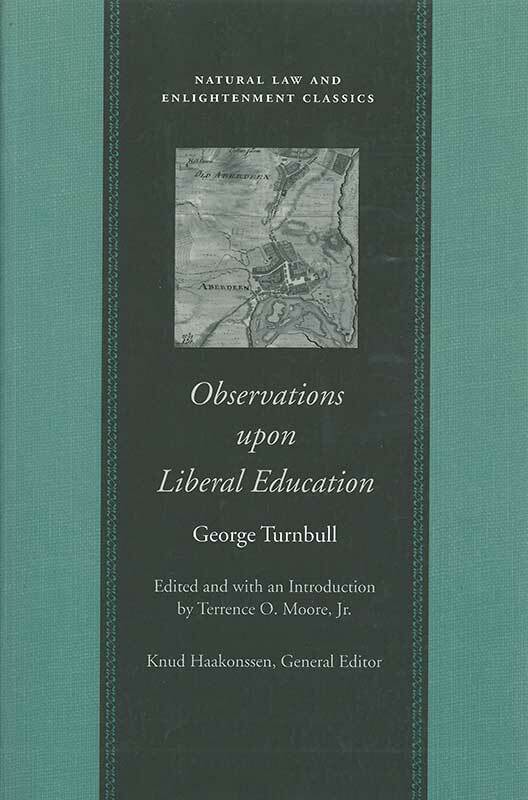 Originally published in 1742, Observations upon Liberal Education is a significant contribution to the Scottish Enlightenment and the moral-sense school of Scottish philosophy. In Observations, Turnbull applies the ideas of the Scottish Enlightenment to the education of youth. He shows how a liberal education fosters true “inward liberty” and moral strength and thus prepares us for responsible and happy lives in a free society. George Turnbull (1698–1748) taught at Marischal College, Aberdeen. Terrence O. Moore, Jr., is Principal of Ridgeview Classical Schools in Fort Collins, Colorado, and was formerly Assistant Professor of History at Ashland University in Ohio.